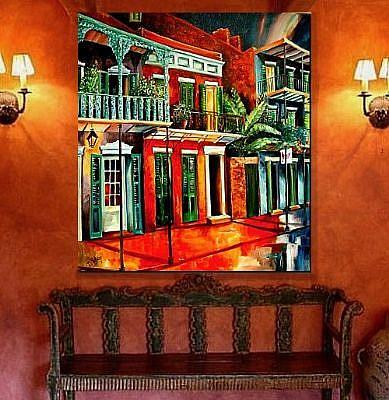 Big and bold, this very large original oil on canvas captures the personality of New Orleans' French Quarter. 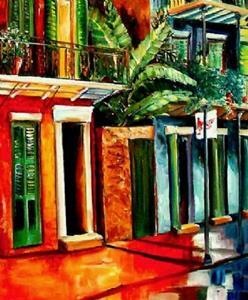 It is ready to hang. The edges of the 1 1/2" deep canvas are also painted, and a picture wire kit is included for instant display. 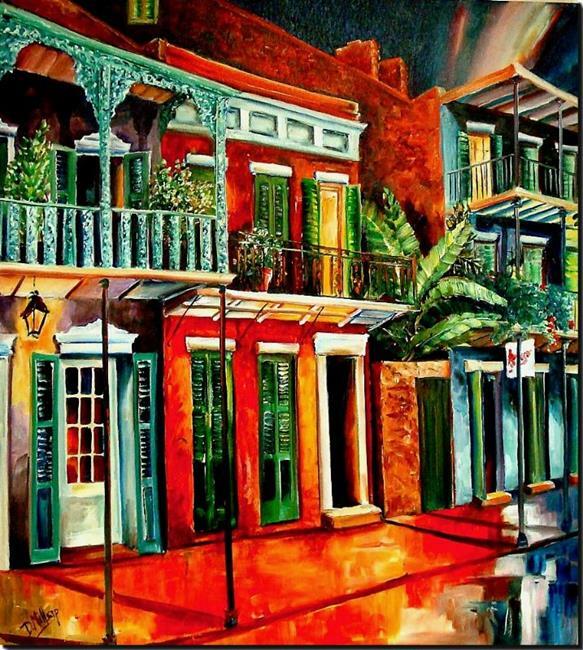 This painting is a one-of-a-kind original, and Diane's certificate of authenticity will be enclosed. 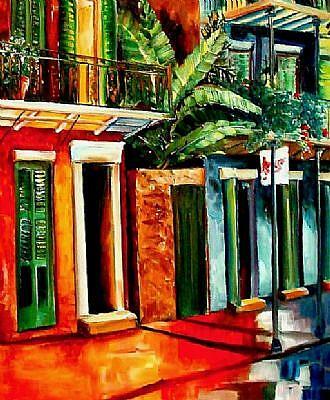 Many of her New Orleans scenes are in print, and this is an opportunity to own an original.